As the sun sets, the opportunity for photos is at one of it's peaks. And yesterday was no exception. 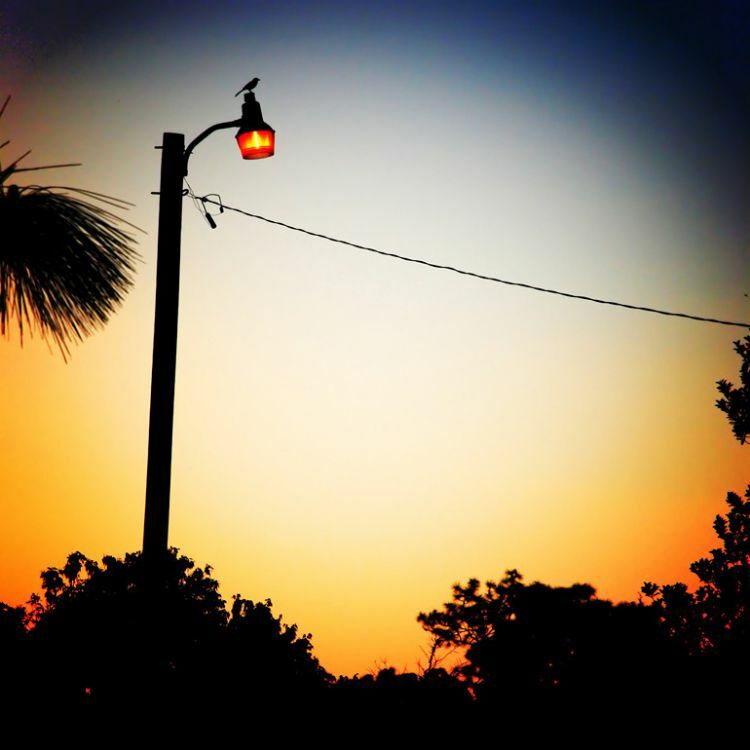 As I was walking down our road, I saw a Mocking Bird sitting on top of a light pole. Fortunately, I was able to take the photograph before the bird decided to fly away. Afterwords, I was able to boost the color, and add some tweaks in Photoshop to complete the image. I hope you enjoy it.